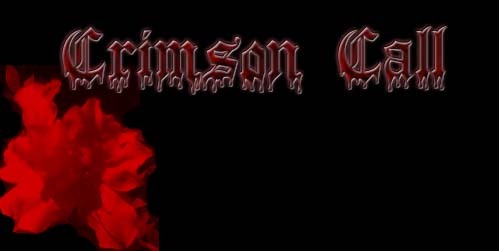 Crimson Call is copyright Scottie Miller and Southern Image Photography. The website is constantly in the process of being updated. We have exciting news in the works, so check back regularly for the latest developments. If you discover any dropped links within this website, please contact us through the email link and let us know. Where images are currently unavailable, some of Southern Image Photography's images have been substituted until the next update. We've been busy re-writing the script over the past few months, incorporating changes that we felt improved the final product, taking suggestions from the actors and actresses regarding dialogue changes, and working in new ideas that seemed to make sense. I know several of you have been wondering what the status of the movie was, and wondering what had happened with the script, well that was what was happening! Anyway, we now pronounce the script to be finished! NO more revisions! We can now get back to creating the storyboards. We are very pleased to announce the latest addition to the cast of Crimson Call. Eric Ouelette, former contestent on the hit CBS show "Big Brother", will be playing the role of Detective Elliot Dahmer. Please check out the links on the Movie Cast page for additional information on Eric. Our intent is to post images of these vehicles, and links to the proud owners, at a later date. Finally, we'd like to acknowledge the very latest business to join our project. The excellent bladesmith firm of Black Mountain Arms, LLC has accepted the challenge of creating the knife we need for this production. Their artisans specialize in the hand crafting of swords - and very...very...very...large knives. You can see a sketch of the proposed blade at the Storyboard and Sketch link, and there is a link to their website on the Business Support page. -Isolated building, set back into the forest. If you have access to such locations, please contact us. We'll soon begin recruiting investors. So if ya know of any - send em our way! Finally, we'd like to welcome the latest addition, Aaliyah Christine, to our cast. You can see her photo and email link on the Movie Cast page.